What caused drought in the 1930s, and could it happen again? 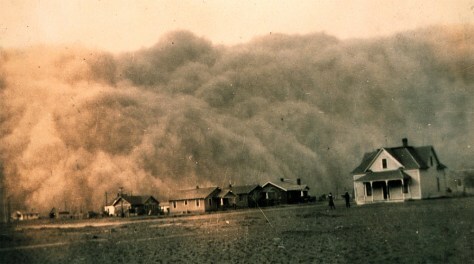 A dust storm approaches Stratford, Texas, on April 18, 1935. The eight-year drought of the 1930s turned the fertile Southern Plains into what came to be known as "the Dust Bowl."